Dejah Thoris is a name I have often used as a pseudonym, ever since I first read the 1912 novel, A Princess of Mars… the basis for the 2012 film, John Carter. It was in the 1970’s that I first discovered Barsoom (as the natives call Mars), and was swept away by the high adventure and romance of the world created by Edgar Rice Burroughs. I couldn’t get enough of it. I read all of Burroughs 86 books and short stories several times. The prolific author transported me to Venus, Mars, Pellucidar, Africa, even the Wild West, as he wove his epic tales, which have sold over 100 million books in 56 different languages. What I would have given to be able to see these spectacular vistas, sumptuous architecture, and remarkable characters on the big screen. We have certainly seen the films that were inspired by John Carter of Mars: Superman, Flash Gordon, Star Wars, Dune, Avatar, etc. etc. etc., but how wonderful it would be to see the original, the first action hero, John Carter himself !! Oh, yes, everyone loves Tarzan, (89 Tarzan films were made between 1918 and 2008, not to mention television shows, etc.) but there is so much more to him than the movies portray…. 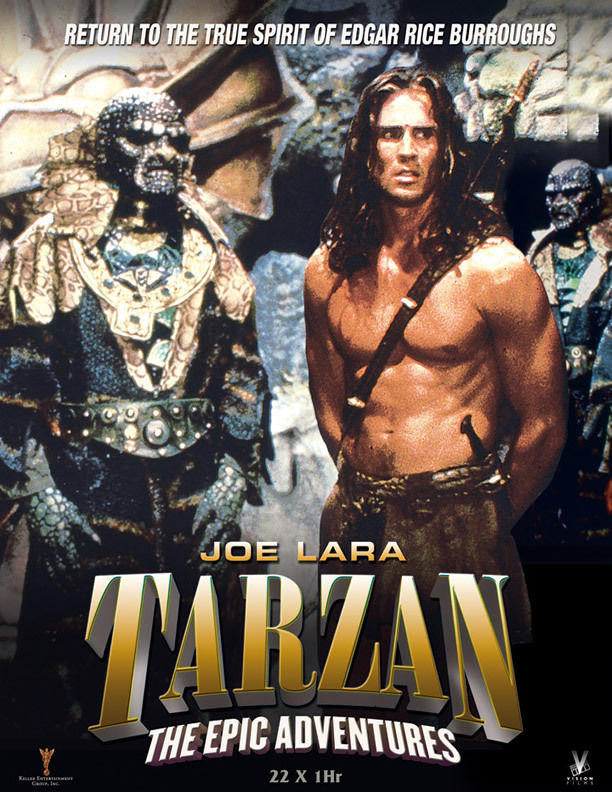 The 1996 TV series, Tarzan the Epic Adventures came the closest to the real Tarzan, but still fell far short of the novels. …. all in twenty-six novels, which take the multi-lingual aristocrat on journeys through worlds that exist only in our imagination. And what an imagination Burroughs had !! 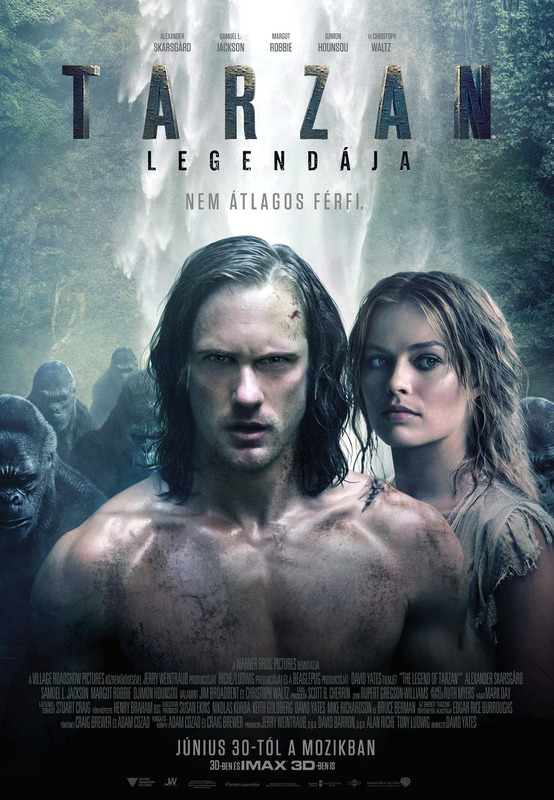 Update: The 2016 film: The Legend of Tarzan had a very good Burroughs feel to it, with the Jewels of Opar and the great Apes, while retaining the feel of the Johnny Weissmuller films. I give that a thumbs up, and fans seemed to enjoy it, too. Disney’s John Carter is the film that seems to break the Burroughs movie curse. 21st century technology was needed to bring his story, and Barsoom to us. Of course, there is still too much going on in the books, therefore there are some alterations, as is always the case with Hollywood. However, this film captures the essence of A Princess of Mars, and we are taken on a magnificent thrill ride. While it is true that Hollywood movies always change the books they film, Harry Potter proved that you actually can film exactly what is written in popular novels, and make a lot of money in the process. But the wildly successful Harry Potter book/film series is the exception to the rule. Modern audiences may think that this film is anachronistic, and unrealistic, but they must remember that it was written 100 years ago. I mean, no one criticized War of the Worlds, which is completely implausable. Besides, sword fighting is fun, as are air ships with oars, which use the 8th Barsoomian ray to stay aloft. And who is to say that there are not underground cities on Mars like Horz, where ancient civilizations, like the Orovars, have been living since the seas dried up. I also was wary about the choice of Taylor Kitsch for role of John Carter. His looks are a bit boyish for my taste. However, when he began to speak in that deep, manly voice, he won me over. Kitsch really became Dotar Sojat, as the Tharks dubbed Carter. A Princess of Mars had been in development longer than any movie in history. Attempts to produce the film began in 1931. 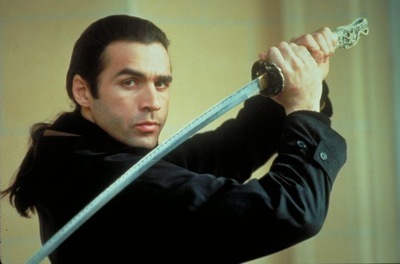 It almost came to pass in the 1990’s, and at the time, I was hoping that someone like Adrian Paul (the Highlander) would have gotten the role, so closely did he fit my image of the Warlord of Mars. However, as I said, Taylor Kitsch has won me over, and, with each viewing of John Carter (of Mars), I love the film more and more. I really hope they make sequels. I would so love to see the Kaldanes and Rykors !! Plus, there was talk of making a Carson of Venus (Amtor) film. And then there is my favorite Burroughs book, Beyond Thirty aka Lost Continent. Written in 1915, the story deals with the Pan-American Federation’s refusal to get involved in World War I. They set up a military patrol at the 30th parallel, effectively cutting off all contact with the eastern hemisphere. Over a century later, an accident causes one of the patrol ships to venture into European territory, where our hero discovers what has become of the Old World. 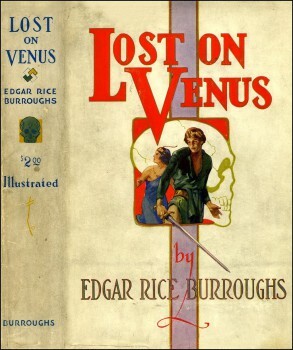 Edgar Rice Burroughs’ grandson, the late Danton Burroughs, gave me a copy of that book when I thought I had lost my original copy. On a whim I visited the ERB offices in Tarzana, California (the town named after Burrough’s most famous character), and had the privilege of meeting Danton. The office was full of books and memorabilia. The writer’s grandson was a big fan, and was pleased to tell me stories of his grand-dad, and show me around the Burroughs estate. It is sad that he did not live to see the triumph that is the film, John Carter. However his daughters, Dejah and Llana Jane, named after characters in Edgar Rice Burroughs’ books, were there at the Hollywood premiere of the film in 2012. 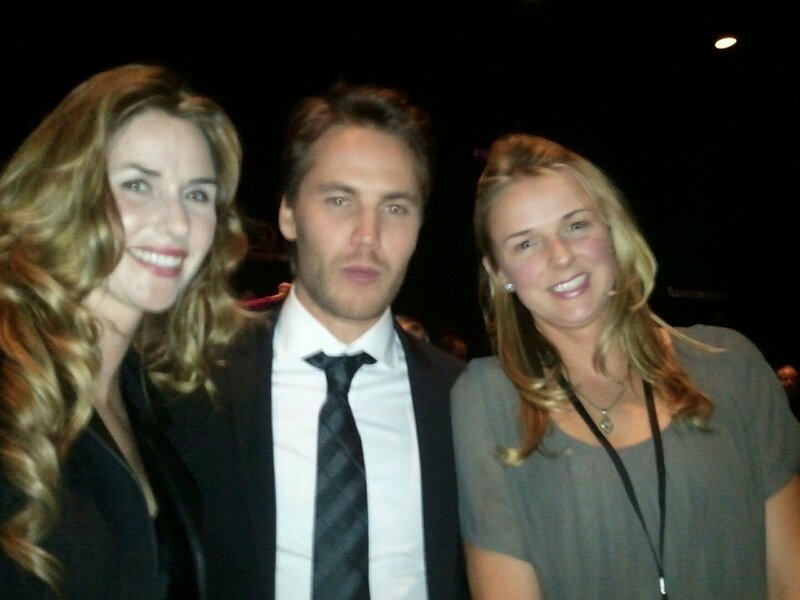 ERB’s great-granddaughters, Llana Jane Burroughs and Dejah Burroughs, along with Taylor Kitsch at the premiere of John Carter. My dream of a film about Barsoom and the epic adventures of Dejah Thoris and John Carter has come true. The film is not perfect, but it comes close, and I love it !! The Moral of the Story is: if you don’t understand what the big deal is with the film, John Carter, then read the 11 books in Edgar Rice Burroughs’ Barsoomian series. Then, go and see the film or get the DVD ! Though Disney politics shot down John Carter in the U.S., it was a solid # 1 at the Box Office Internationally where Burroughs’ books are very popular !! P.S. Did you know that the reason we think Martians are Green is because of the Tharks !! Gallery | This entry was posted in Sci Fi, Uncategorized and tagged 8th Barsoomian ray, 9th Barsoomian ray, adventure, Africa, Amtor, Apache, Avatar, Barsoom, books to film, Calot, canal, Carson of Venus, Carthoris, Chessmen of Mars, Danton Burroughs, Dejah Burroughs, Dejah Thoris, Domonic West, Dor, Dune, Edgar Rice Burroughs, epic, ERB, First Born, Flash Gordon, Gahan, Gathol, Gods of Mars, Gooli, Helium, Hollywood, Hormads, Horz, incomparable, Issus, Jane, Jasoom, Jed, Jedak, John Carter, John Coleman Burroughs, Jungle, Kaldanes, Kangaroo Men, Kantos Kahn, Kaor, Llana Jane Burroughs, Llana of Gathol, Lothar, Lynn Collins, Mars, Matai Shang, Mors Kajak, Okarians, Orovar, Pellucidar, Princess of Mars, Ptarth, Ras Thavas, red planet, River Iss, Rykors, Sab Than, Sarkoja, Sea of Korus, Sea of Omean, Sola, Stanton, Star Wars, Superman, Tan Hadron, Tara, Tardos Mors, Tars Tarkas, Tarzan, Taylor Kitch, Taylor Kitsch, Tharks, Thern, Thoat, Thuria, Thuvia, Toonolian Marsh, Ulysses Paxton, Virginia, Vor Daj, Warhoons, Warlord of Mars, Zodanga. Bookmark the permalink. Thanks for the informative review! For once, someone talked about what she missed seeing in the movie without making it sound negative! We saw the movie at Disney Studios, Burbank Calif. at a private showing during ECOF in March. We went to the opening night at our local theatre and will go again this Friday with our 13 year old grandson. When it is available. we will see it at IMAX! Once is not enough to take in everything! Great review. I agree with your take on Kitsch’s voice. I, too, did not automatically see Kitsch as Carter (you can thank Whalen for that), but his resonance and charm won me over. Interestingly, as I’m *listening* to the first 5 books that are available on audio, some of the readers actually read Carters lines with a southern accent. Not always good. As for Dejah and Lynn Collins, it was the little moments that sold me, her gradual realization that Carter was, indeed, from Earth. Interesting that you mention The Lost Continent. I have all my parents’ ERB books (I bought the Carter ones myself) and the only non-Carson, non-Tarzan book they had was TLC. I’m definitely going to read it later this year. The more I’ve read these books, the more interested in ERB himself I’ve become. Is there a good biography that you could recommend? Thanks for this personal overview. It is spot on. I’m happy about all the John Carter buzz and hope it continues to grow. Scott, the best biography of Burroughs is by Irwin Porges; unfortunately it is also massive. The next best choice is by Fenton, written in the 1960s, poorly documented, some aspects suspect but entertaining to read, including quotations from ERB’s children who were interviewed. Avoid Taliaferro’s book at all costs. My book, THE TEENAGE TARZAN, has a fair amount of biography from 1916-1917 regarding Burroughs when we was writing his sixth Tarzan book, THE JUNGLE TALES OF TARZAN. 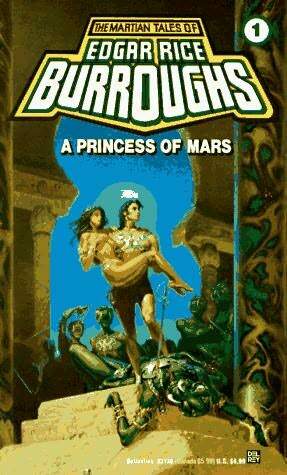 Unfortunately, there is very little about Barsoom in my book. 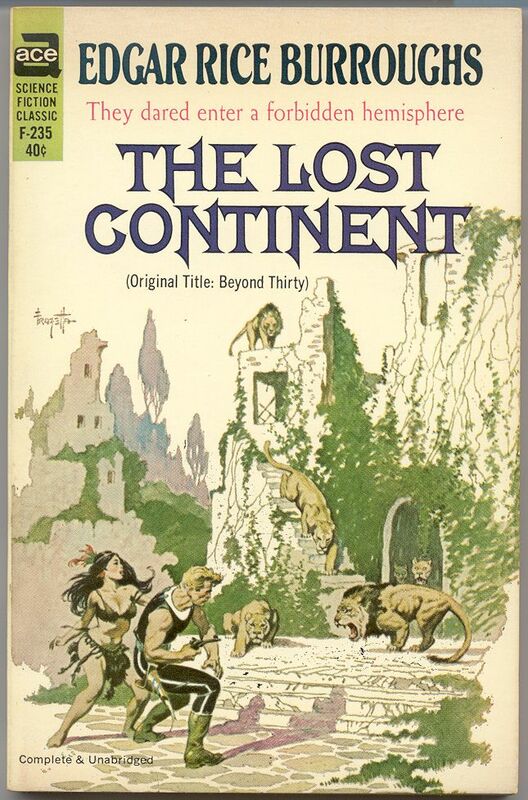 THE LOST CONTINENT (BEYOND THIRTY) is still one of my favorite Burroughs books, too. I re- read it a few years back and found it disappointing in the last third, where it seems like Burroughs provides more of an outline than a novel. I wish he’d taken more time and space to keep that narrative going. Irwin Porges’ “Edgar Rice Burroughs: The Man Who Created Tarzan” is generally regarded as the most authoritative biography on ERB. It is available in various printings and editions on Amazon, etc. Excellent review! I’ve been a fan of ERB for most of my life, although I have not read all his books the way that you have. The Barsoon series has always been my favorite and I’m very happy with the recent Disney “John Carter” movie. I’ll be sticking around to read more of your reviews! Great review! And I envy you so much about vsiting ERB offices, you have no idea 🙂 I’ve read my first ERB book (it was “Tarzan of the Apes” of course) when I was seven or eight years old, and I was absolutely stunned about this character. I think that if I haven’t read Tarzan and John Carter, I would’ve never known a single thing about fantasy at all. Thank you for fantastic info. You could win a prize for your blogs. Excellent information. I like that you not only talk about the film, but also the books and author. I know that a lot of people who have read Burroughs’ books have waiting a long time for the film to be made, it is great to hear personal comments from one such fan. Great Article! 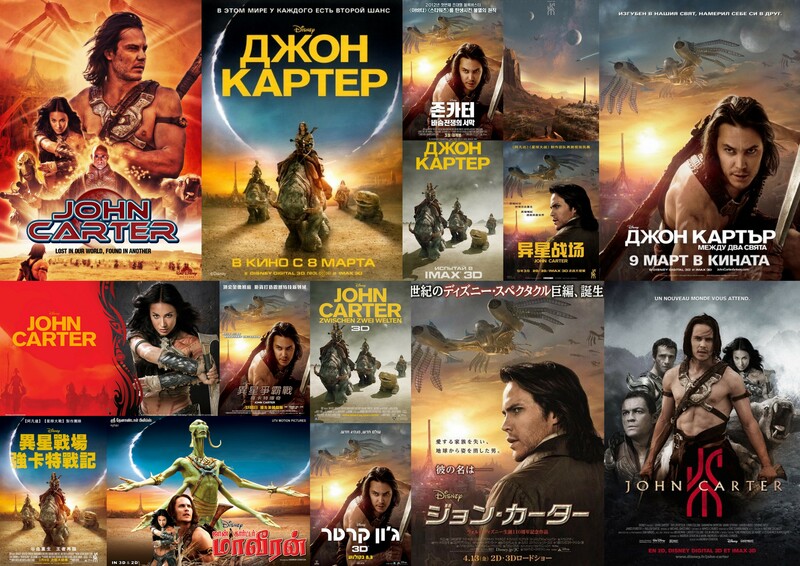 I really loved John Carter. Too bad someone at Disney sabatoged the marketing so that no one knew what the film was about. Fortunately I read the books, so I got it. Excellent Article! I loved John Carter. I hope they make a sequel. With all that said, the film is undeniably more charming than the books upon which it is based. In Burroughs’ prose, John Carter is a misanthrope obsessed with honor and formality. On the Ninja Turtle personality scale, he would rate the pure, boring blue of Leonardo. Stanton uses an early comedic sequence involving the mounting difficulty the U.S. Cavalry has convincing Carter to join their fight against the Apaches to transform him into an irascible, unstoppable force. This guy is fun, a heady mixture of Michelangelo’s bumptious orange and Raphael’s fiery red. Slick-looking, nice effects and technically accurate, but otherwise too unfaithful to the spirit of the original material. For example, just Google “Dejah Thoris” and see how well any of those resemble the “Disney-fied” version.